Fleece gilets - versatile companions for every day and touring! Fleece vests are the right choice for everyday wear as well as during sporty activities! Fleece keeps you warm and is also very easy to clean. Simply throw the fleece gilet into the washing machine when it needs a clean. The robust polyester fibers will stay looking great, even after several wears and washes. Practical for travel and expeditions: this fleece gilet dries fast! It insulates wonderfully, even when damp. When compared to heavy wool pullovers, fleece vests provide much more freedom of movement. The low weight also plays an important role when you have to pack light. Fleece gilets are also moisture repellent! The material transfers moisture to the outside surface where it can evaporate. 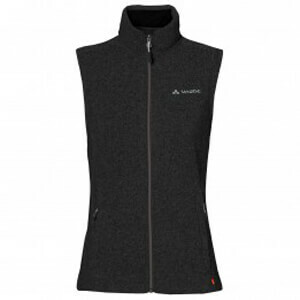 Fleece vests or fleece jackets - the soft, warm material does not chafe on the skin, which ensures maximum comfort. Fleece vests are great to combine with other layers of clothing. You can keep your torso warm when taking a walk by wearing one over a long-sleeve. The fleece vest insulates heat wonderfully under a hardshell jacket. Which fleece is best for which activity? Fleece vests come in different material thicknesses which make each one more suited for certain uses. 100 or 200-weight fleece on a fleece vest describes the weight of the material per square meter. The lighter material is recommended for anyone who has to pack light when touring. The 100-weight fleece has a thinner makeup than the 200-weight fleece material which also makes it more lightweight. A thicker fleece gilet is recommended when it is very cold or when you are at higher altitudes. The alternative here is a warm fleece jacket with preformed sleeves for great freedom of movement. Our customer service team is always happy to provide information and advice on the various fleece gilets for men and women available in our shop!